ARIES is built upon scientific excellence to meet priorities arising from every terrestrial, marine, atmospheric and freshwater environment on planet Earth. ARIES themes are structured so that our students gain training and experience of tackling gobally –important issues and questions raised in the UN’s Sustainable Development Goals. ARIES graduates will contribute to the resolution of the global challenges of Zero Hunger, Clean Water and Sanitation, Responsible Consumption and Production, Climate Action, Life Below Water, and Life on Land. I am delighted to welcome you to the NERC ARIES Doctoral Training Partnership (DTP). ARIES is a vibrant and diverse community of postgraduate researchers; a community that you will find to be supportive, sociable and close-knit. 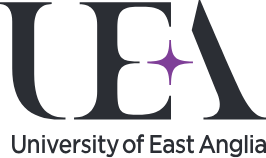 ARIES builds on the success of the EnvEast DTP, which has supported and continues to train over 130 postgraduate researchers. Research within ARIES is focussed around five themes, but most projects are multidisciplinary and cut across more than one theme to address a wide range of global challenges. With a focus on training 21st Century Environmental Scientists, ARIES training is embedded within your PhD, delivering focussed and relevant training at the appropriate time during your studies. We regularly bring all students together for training events, including our “Grand Challenge” events, building a network of Students who support each other through the PhD and beyond. Studying with ARIES gives you access to a wide range of training and facilities . You’ll also have opportunities to join our student E3i innovation club, network with students from other DTPs, and with researchers and policy-makers from amongst our almost 40 business, government, and NGO partners. Such opportunities include our joint DTP student symposium in Cambridge, our acclaimed envExpo events, inter-DTP InfoHackit events, workshops and ‘think-tanks’ such as our sponsored Smart EcoCity meetings. We even provide funds for ARIES students to develop and deliver their own training, with examples including presenting at London Science Museum public “Lates” and our Python users group. You will develop your own personalised training and development plan, enabling you to become a leader in the science and business of the environment for the 21st century. We hope you will apply to ARIES and look forward to welcoming you in October 2019.